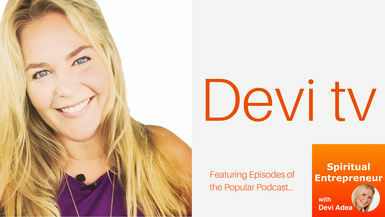 In this episode, Devi chats with Michael Gebben. Michael is a JUMPstarter for LIFE! Michael LOVES to use the analogy of a car with a dead battery - all it needs is a little Jumpstart & off it goes. He does that for people! It’s his passion to help people LIVE LIFE to the FULLEST and get up every day full of energy getting to do what they LOVE! Michael’s goal is to get YOU RESULTS much faster from all the Experience he’s gained, like starting a Video Production Company called GEBBSTV right of high school with NO COLLEGE and going on to work with some of the biggest names on the planet such as Tim Ferriss, Tony Robbins and Sir Richard Branson among other great people and now running a new kind of Transformational Company Called Jumpstarters! Michael shares with you how you can jumpstart your life and business, wherever you are on the road of spiritual entrepreneurship.